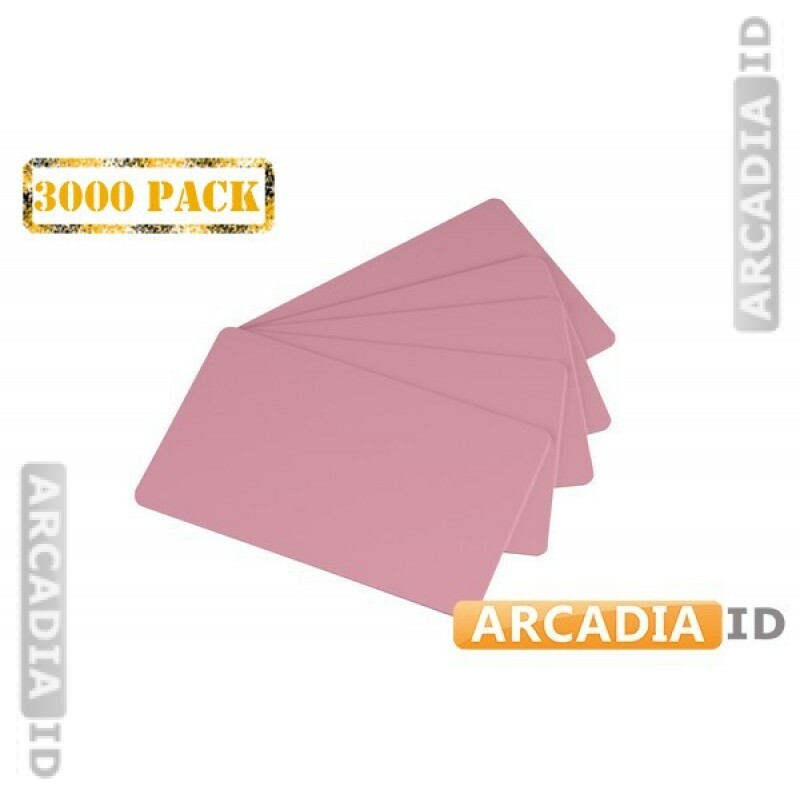 These are packs of 3,000 pink ID cards. These items come blank so they can be used however they are needed. High quality materials and an eye-catching color. For the best products and prices trust ArcadiaID.